Search for the closest event. The event coordinator's contact information will be listed within each of the event home pages. Call the American Diabetes Association at 1-888-DIABETES (1-888-342-2383) and you will be connected to the closest office. 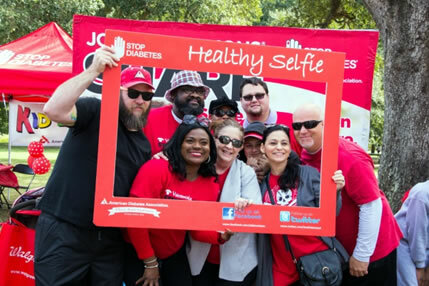 To learn more about additional programs and events in my community visit our Community Programs and Local Events Web page or contact your local American Diabetes Association office by calling 1-888-DIABETES (1-888-342-2383).